Here at The National Center for Outdoor & Adventure Education, we’re fortunate to be directly affiliated with a number of amazing outdoor and adventure-based industry organizations and companies, as well as to employ administrative staff and field instructors and guides who are affiliated with some of the leading organizations, also. Below is a short list of the organizations we’re either directly affiliated with or are connected to because of the amazing people who work here. The Association for Experiential Education is a nonprofit, professional membership association dedicated to experiential education and the students, educators, and practitioners who utilize its philosophy. A wide variety of members make up our Association including ropes course operators; school, college, and university staff and faculty; therapists; outdoor education practitioners; organizational development specialists; experience-based professionals working in nonprofit, private, and academic settings; and members of other areas of experiential education. 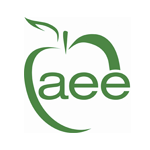 For more information, please visit the AEE Website. 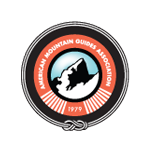 The American Mountain Guides Association is a nonprofit organization that is dedicated to supporting the American mountain guiding community. AMGA’s mission is to inspire and support a culture of American mountain craft. AMGA offers many certification opportunities for mountaineering professionals, including Single Pitch Instructor (SPI) certification that teaches climbing instructors to proficiently facilitate and instruct the sport of rock climbing in a single pitch setting. For more information, please visit the AMGA Website. 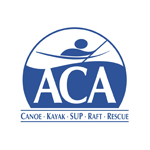 The American Canoe Association is a member-based, national nonprofit organization serving the broader paddling public by providing education related to all aspects of paddling; stewardship support to help protect paddling environments; and sanctioning of programs and events to promote paddlesport competition and recreation. For more information, please visit the ACA Website. 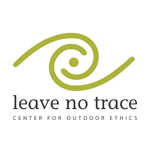 The Leave No Trace Center for Outdoor Ethics works to protect the environment by teaching people of all ages how to enjoy the outdoors responsibly. It is the most widely accepted outdoor ethics program used on public lands. As a leader in sustainable recreation practices, LNT trains outdoor advocates and trains trainers to do the same, to put Leave No Trace principles into action. Through targeted education, research and outreach, LNT seeks to ensure the long-term health of our natural world. For more information, please visit the LNT Website. 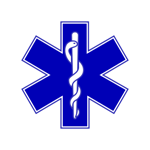 The Wilderness Medical Society is a membership organization of doctors and allied health professionals devoted to wilderness medical challenges. 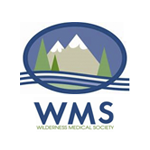 Founded in 1983, WMS is one of the world’s leading organizations devoted to wilderness medicine. Wilderness medicine topics include expedition and disaster medicine, dive medicine, search and rescue, altitude illness, cold- and heat-related illness, wilderness trauma, and wild animal attacks. WMS explores health risks and safety issues in extreme situations such as mountains, jungles, deserts, caves, marine environments, and space. For more information, please visit the WMS Website. 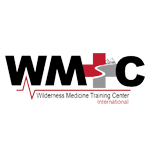 The Wilderness Medicine Training Center provides high quality, practical courses, consultation, books and supplies in wilderness medicine and outdoor program risk management. WMTC is guided by a belief that a clear understanding of wilderness medicine is required for effective outdoor programming management and should be part of a required training progression for all outdoor leaders and administrators. For more information, please visit the WMTC Website. The National Center for Outdoor & Adventure Education is a credentialed and approved EMT training facility by the North Carolina Office of Emergency Medical Services. For more information, please visit the NC OEMS Website. 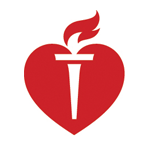 AHA is the nation’s leader in CPR education training, helping millions of people understand the importance of healthy lifestyle choices. They provide science-based treatment guidelines to healthcare professionals to help ensure the best treatment for every patient, every time. We educate lawmakers, policy makers and the public as they advocate for changes to protect and improve the health of our communities. For more information, please visit the AHA Website. The Outdoor and Adventure-based Experiential Education fields are constantly evolving. And like any evolving field, the best thinking and practices often come from those of us who work in the industry and actively choose to share what we know and learn from others. Below, you will find a growing list of resources for anyone interested in learning more about outdoor education, adventure-based experiential education, wilderness and backcountry travel and education, and more. Please be sure to visit this page often, as resources will be added on a rolling basis. If you have a resource to add to this page, give us a call or reach us through the online NCOAE Contact Form. Let us know if you have a resource to add to this list. If so, give us a call Monday through Friday between 8am-5pm ET (910-399-8090) or reach us through our online NCOAE Contact Form.